If you answered yes to any of the above questions then using the OSMO Patch may well be one of the most important decisions you will make towards becoming free from elbow pain TODAY. The OSMO Patch is natural alternative and when used in combination with proper rest is ideal for supporting the reduction in swelling and inflammation caused by tennis elbow. Non-steroid anti-inflammatory drugs such as aspirin & ibuprofen. On the other hand you may just prefer to use a natural treatment for tennis elbow. 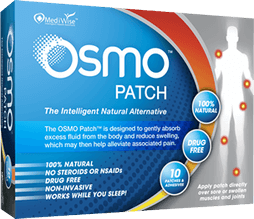 The OSMO Patch now offers an Intelligent Natural Alternative! So if you are ready for a natural approach to supporting the relief of swelling, inflammation and pain due to tennis elbow then the OSMO Patch is the Answer!